Piloting an X-Wing has been for many of us the illusion of children. Unfortunately we have not managed to carry it out but now at least yes we try to retaliate with this drone of Propel. 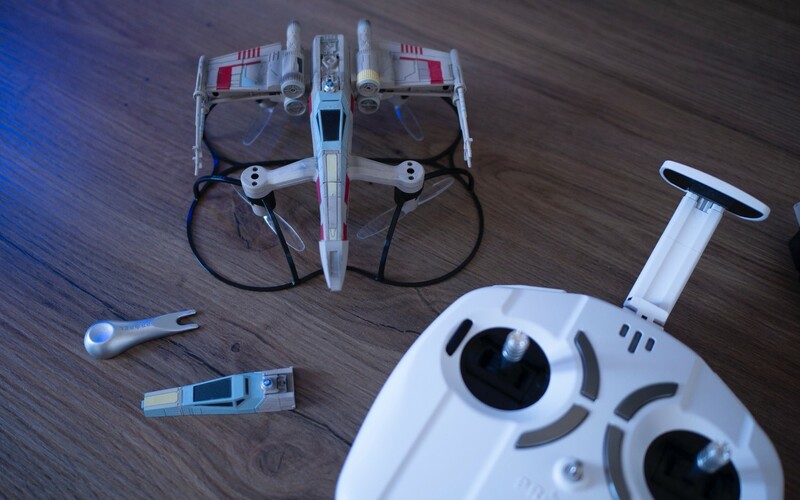 With three versions available, we have tried the T-65 X-Wing, a toy drone, without a camera but with a couple of extras that the most fans of the Star Wars saga we think you will like a lot. So let’s see what this Star Wars drone offers and what the flight experience is like. 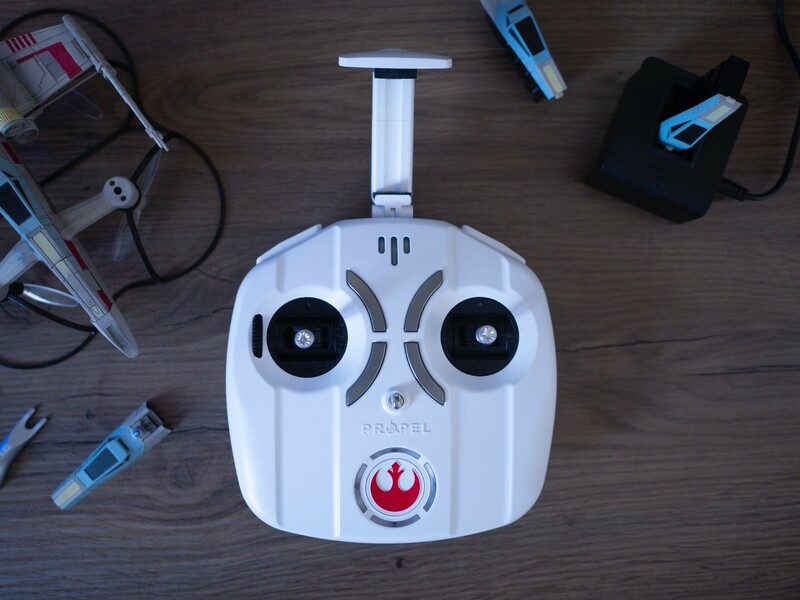 Besides being a toy drone it is a product that fans of the Star Wars saga will like. 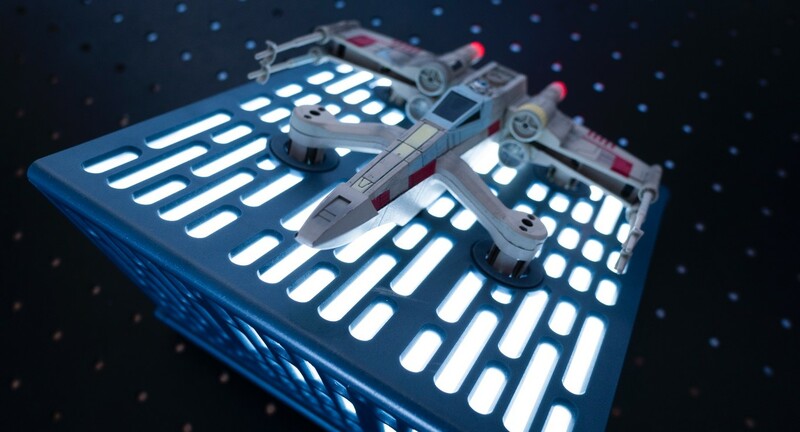 The Propel Star Wars drones are primarily a collector’s product. With really good finishes, these drones do not stop being a toy but include small details that make them above other similar products. 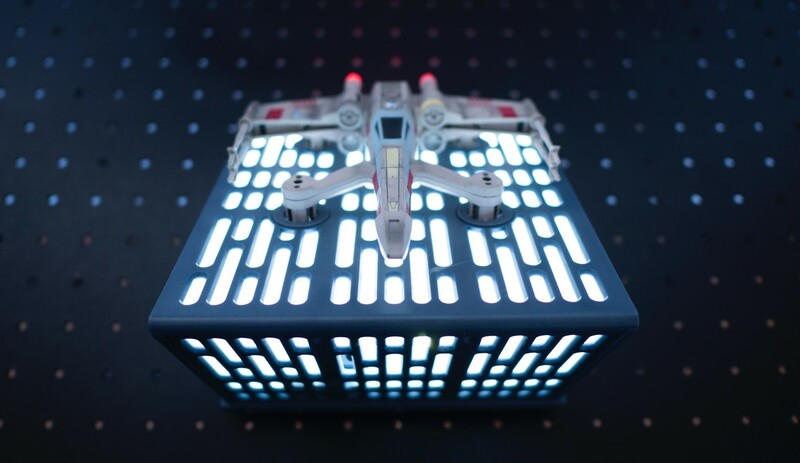 Available in three versions, Speeder Bike, TIE Fieghter and X-Wing, we have been able to prove the latter that in its collector version comes with a light and sound box. 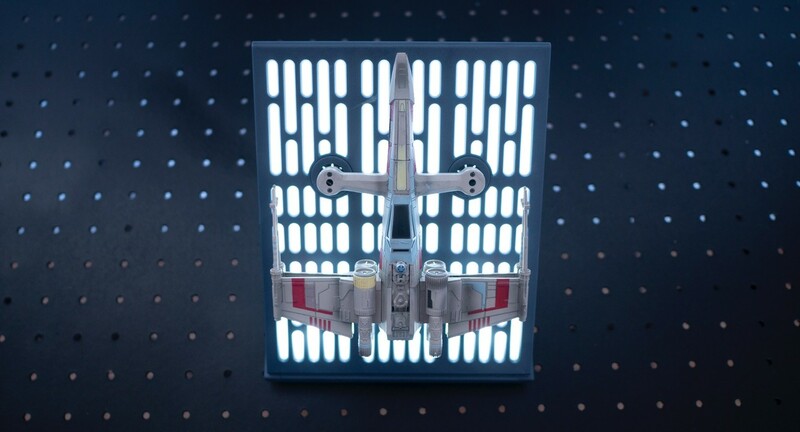 The Star Wars drones launched by Propel are small pieces for collectors. The level of detail makes very attractive products for every fan of the saga. In this T-65 X-Wing tested includes details of the ship at a high level. If we look closely we will see how it turns out to be a very good replica of the popular ship, especially by hand painted. It is not the poor replica in finishes that, beyond the name and form, retains few similarities with the original. Appreciating it as a toy drone that is the first thing that catches your attention is that the propellers are at the bottom. This is good at the aesthetic level but it can be a small setback in the face of taking off, for example, from the ground of a park, grass, etc … But hey, it can be easily solved if required. To avoid damage, include a shell that reduces both the damage they can do if they hit an object and the one that could suffer the drone in front of a fall from the air. Otherwise, we have the battery is placed on the top and is well integrated into the design of the cabin. No small but the flight autonomy is between 6 and 10 minutes depending on the conditions and type of flight. And they charge 100% in about 40 minutes. But if something draws attention is its emitter and IR receivers. Thanks to them we can recreate battles with other drones. 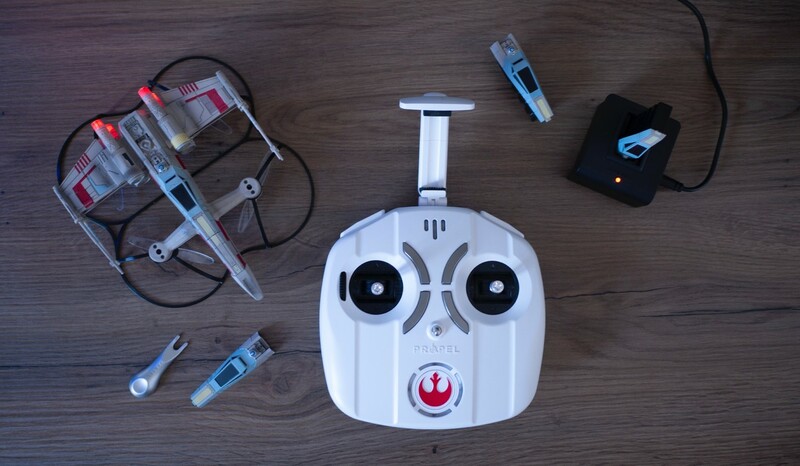 With Bluetooth connection and a range of 30m, more than enough for the type of product that it is, the flight experience with this T-65 X-Wing is frankly good. It requires practice, like any other drone, but if there is sufficient flight space and, in the case of being outdoors, there is no excessive wind, the truth is that the flight is stable. 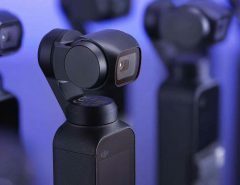 It does not maintain the position precisely as if they achieve larger drones, which is logical, on the other hand, but thanks to being able to select up to three flight speeds, both novice and experienced pilots can enjoy it. Yes you have to get used to the command. We have noticed the levers too soft, that makes it difficult to adapt a bit and we do not have the level of precision that we would like. But it’s a matter of practice. If you have already driven drones it will be easier for you. As an extra detail of the controller, it broadcasts music and sound effects based on the saga. When we turn it on we hear the sound of a lightsaber, then the main theme of the soundtrack … in total seven different audio tracks that will set us even more. The sound and music effects played by the controller are the ideal complement for a more immersive experience. In the command we also find a support to place the smartphone and use the mobile application together. With this application we will receive a training with which to develop and improve our flight skills. An idea that is effective since the simulation of the real flight of the drone is quite successful. And also a headphone jack to enjoy music and effects in a more immersive way. However the great surprise of this series of drones is its battle mode. Thanks to this emitter and IR receivers (use of LiFi technology) battles can be recreated along with other drones. Which we admit that we have been left with the desire to try but we explained how it would work. The range of action for these emitters and receiver is 2-3m. That means that pointing to another ship within that range will have high impact probabilities. But how do we shoot? Well, very easy: the command includes several triggers. One of them is the one used to shoot and the rest for pirouettes or other actions. With the option to compete against up to 12 players, to shoot down or to knock us down we will have to suffer three impacts. How do we know what we have given or given to us? Well, with each impact the drone and the command alert us in the following way. First impact, the ship maintains its trajectory but swings twice from one side to the other. 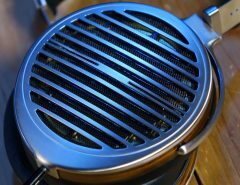 The control vibrates three seconds and reproduces a sound effect. Then, in the LED indicator of the command itself we will see how the three of them blink to finally be only two on. Second impact, here the movement will be more abrupt. Again the three LEDs flash and only one will remain lit. Third impact, when the ship is reached activates the automatic landing mode by tracing a downward spiral. Once the ship “drops” we can restart the flight after a few seconds. It’s a pity not having been able to try it but it looks very funny and a way to give value to a product. 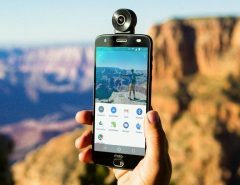 Of course, it requires an adequate space to fly the drone, wide and free of obstacles or at least with those that we want to introduce ourselves if we want an extra of difficulty.